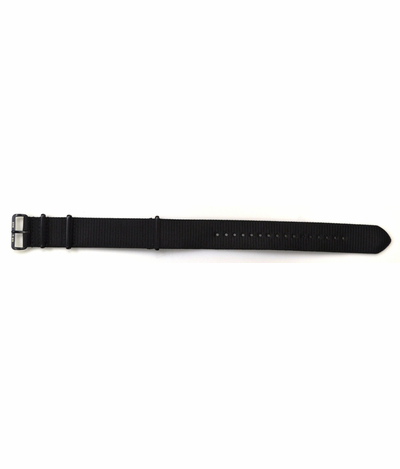 Heavy duty ballistic nylon strap in black with stainless steel square keepers. 20mm straps fit all 41mm Air Blue timepieces. 22mm straps fit all 44mm Air Blue timepieces. 24mm straps fit all 47mm Air Blue timepieces. 11.8 inches or 30cm.